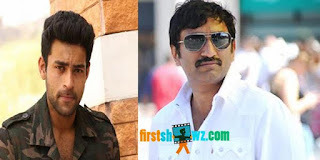 If the latest buzz in the tinsel town is to be believed, Mega hero Varun Tej will be acting in the direction of Srinu Vaitla soon. Srinu Vaitla has narrated a storyline to Varun Tej and the latter has given his nod to this love story. The script work is under progress and the project will commence after Varun Tej wraps his new film Feel My Love. More details are awaited. Varun Tej’s Feel My Love will take shape in the direction of Venky Atluri under Dil Raju’s production under Sri Venkateswara Creations banner. With Rayabhari being postponed, looks like Varun Tej is listening to more scripts and is on a sign spree.